At BSCL we specialise in the installation and integration of Network Cabling Solutions for a wide range of companies all over the UK. We have over 30 years of experience in the provision and servicing of local communications infrastructures to the voice and data industry so you can rely on us to specify the right structured cabling system for your needs now and in the future. Whether you are a small independent trader or a much larger company such as an NHS trust or even a multi-national blue chip organisation we can help with installing everything from fibre optical Infrastructures (OM1, OM2, OM3, OM4, OS1, OS2), copper-based structured cabling systems (Cat5e, Cat6, Cat6a, Cat8), proprietary cabling systems (Voice networks, Coax) and the ancillary networking equipment designed to meet your technology requirements. 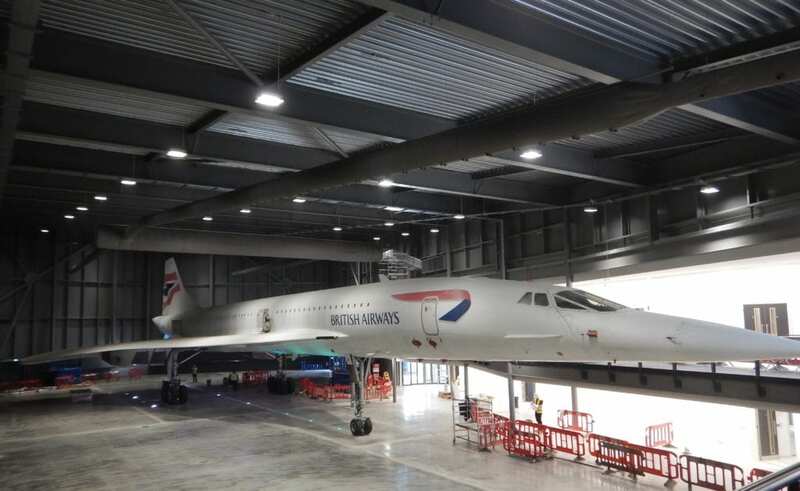 In early 2017 we started the high-profile project of installing the cabling infrastructure for Aerospace Bristol, a £19M project to convert 2 hangers at Filton Aerodrome to highlight and showcase the impact Filton has had on the global aerospace industry, and to be the home of Concorde.